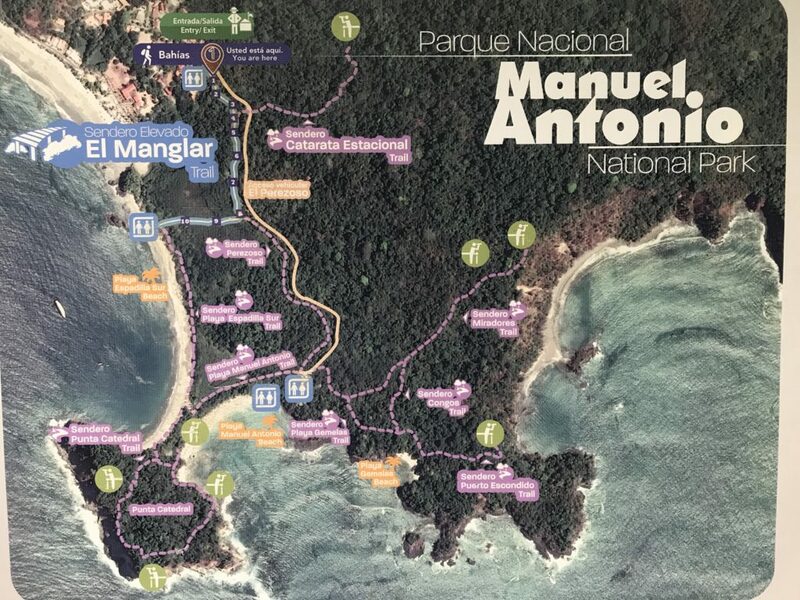 Manuel Antonio National Park is one of the most popular national parks in Costa Rica, yet it is one of the smallest at only 1983 hectares. The park has a well built hiking trail, half a dozen beaches, a variety of flora/fauna, 109 species of mammals, and over 175 varieties of birds. Matt and I took the public bus from Quepos to Manuel Antonio which was a short 25-minute ride and cost a whopping $.75 each. The town is relatively small, but it is packed with lots of eateries, bars, and tourist traps. We did a quick walk around before heading into the park which cost $18 per person. Many people hire tour guides to tour the park at $20 per person, but Matt and I decided to explore on our own. There was a really nice wooden trail and lots of maps around so we figured we couldn’t get too lost. We started at the top left of the map (Bahias) and followed the yellow trail to the water where we picked up the dotted pink line (Sendero Miradoras Trail). We took this new trail all the way to the left and walked until we hit the dead end. This was up many, many stairs, then down, then up and again, then down. We ended up at the top of an overlook. The overlook, Puerto Escondido (Hidden Port) is 25 meters above sea level. During low tide you see these small bridges of sand that link the islands to the continental part of the coast. After turning around, we took the same trail back until we got to the Sendero Congos Trail (left at the fork). Then climbed to the Sendero Puerto Escondido Trail which led to a nice beach. We back tracked again and found ourselves on the Sendero Playa Gemelas Trail which led us back to the yellow line below. We landed at Gemelas Beach which is divided into two by a rock formation. The waters from the creek merged with the sea currents have given life to the twin beaches providing a sanctuary for many sea and wild life. 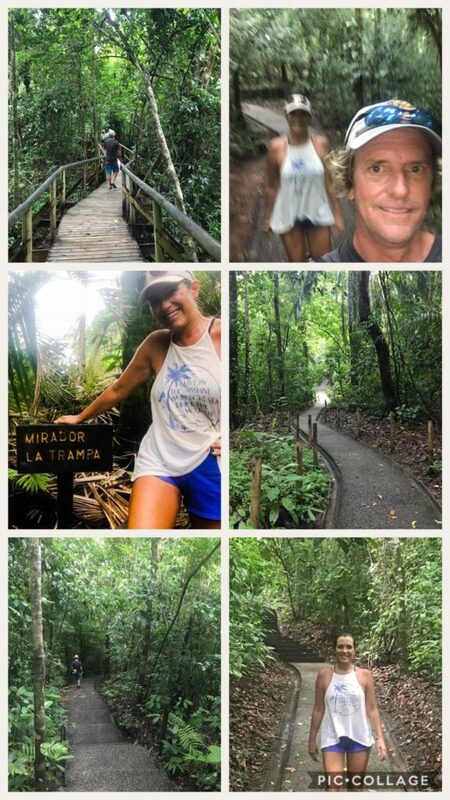 Instead of leaving the park, we took the Sendero Playa Manuel Antonio Trail to Punta Catedral and eventually out the Sendero Perezoso Trail. At first, we were a little put out that it was so expensive to enter the park. But as we walked through it and saw how well maintained the trails were, we understood the cost. If you weren’t walking on a nice wooden plank trail, you were on cement, or a very well maintained dirt road. Check out the funny sign I posed with below. There were these really strange prickly things growing on some of the uber tall trees. At first, I thought it looked like fur, but up close, they are strong, sharp, needles growing out of the trunks. At the end of our trail we ended on the most popular beach in the park. 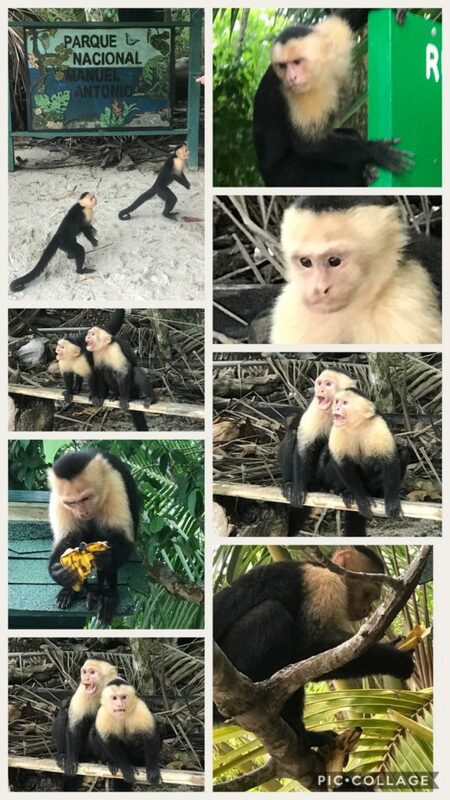 Most of the tourists stop to admire the monkeys and enjoy the beach. There was a tourist eating a banana that attracted a funny pair of monkeys – they entertained us all. We saw this really odd looking critter – cross between a rat and rabbit.. Never did find out their name – can you help? 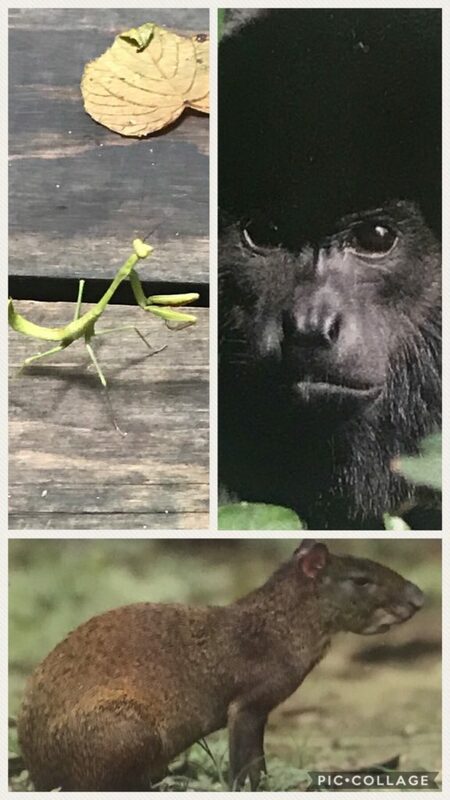 We also, did not get to see the howler monkey, but we heard them throughout our adventures. After our crazy long walk/hike we treated ourselves to a nice cold beverage. As we cooled down, a light rain started. We decided to catch the bus back so we did not get stuck in the pending downpour. As we were waiting for the bus, my phone rang, it was a friend of ours from Texas, Tom Faulk. 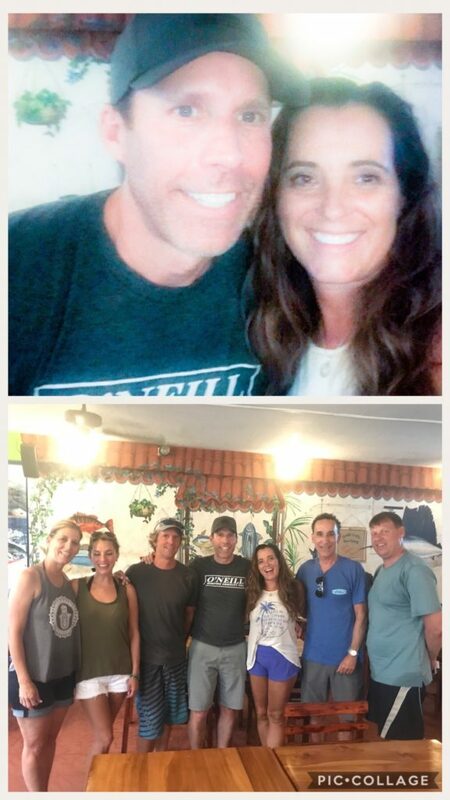 He mentioned he would be in Costa Rica, but we did not nail down a meet up. As fate would have it, he was sitting at the restaurant right behind the bus stop! 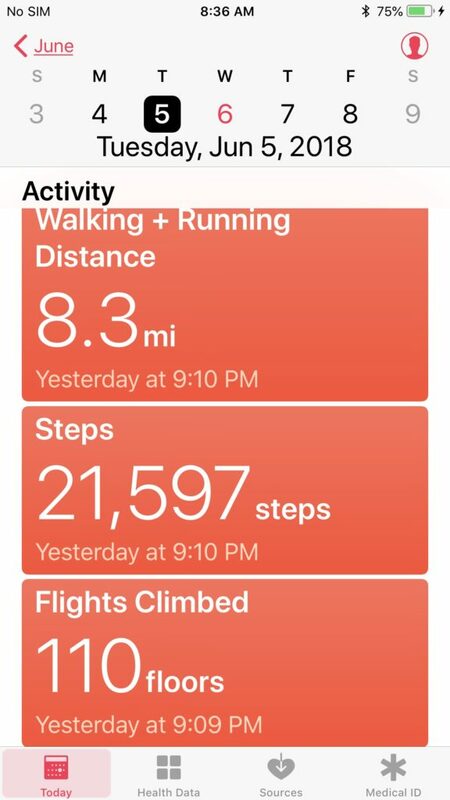 We had a great day of exercise. 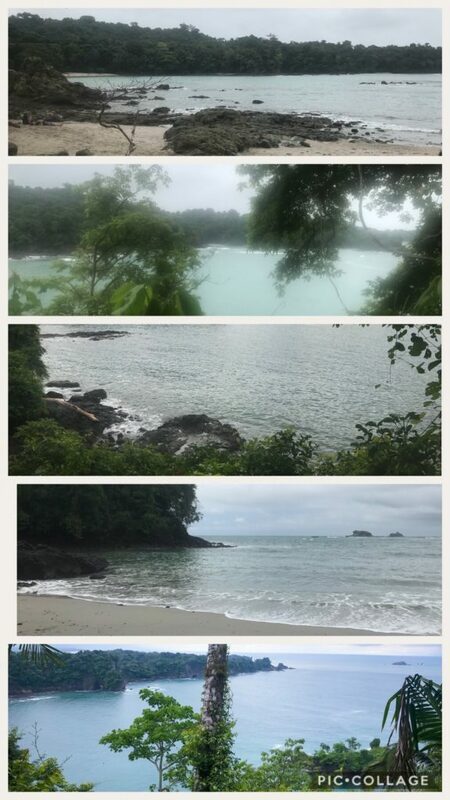 This entry was posted in Costa Rica, nonBoat and tagged costa rica, Hikes, manuel antonio, monkeys, national park, sailing on a catamaran, sailing on a catana, tom faulk on August 14, 2018 by Christine. We were up early again this morning as we had another 50+ mile passage to Quepos. 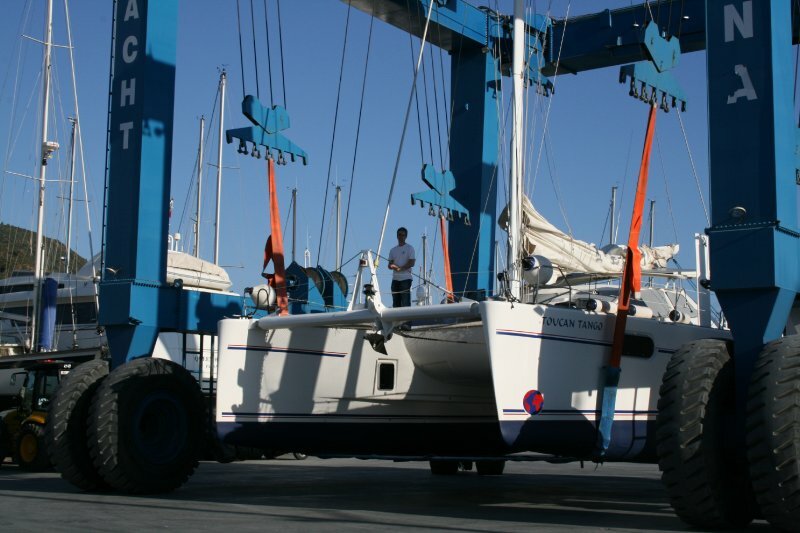 We readied the boat and had the anchor up by 0615. 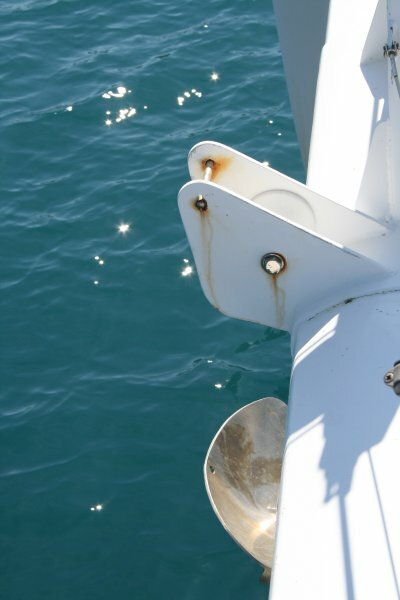 It was another beautiful day, flat seas, clear skies and no wind. Matt made an attempt to look like a sail boat by raising the main. 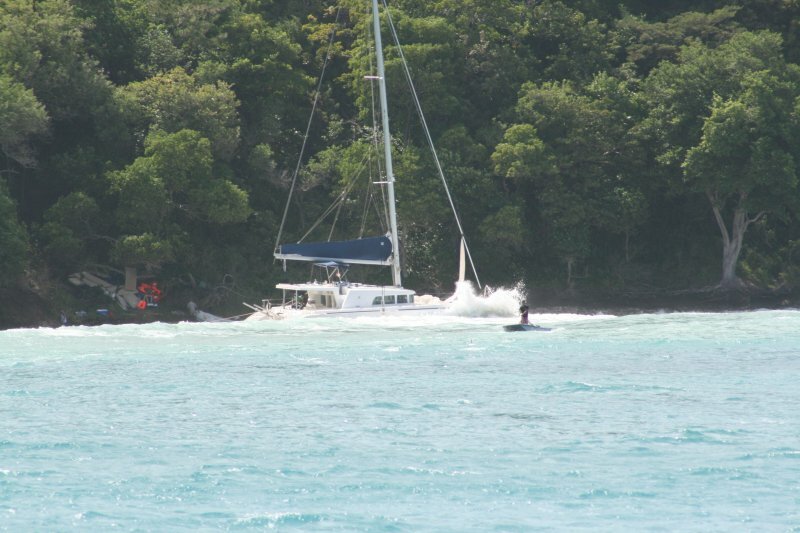 But, frankly, it just bopped side to side as the winds were mostly under 5 knots. It was a truly an uneventful passage as we both tried to hide from the sun and the heat. Kind of hard to do on a boat, but we did our best. Even though we had the fishing poles out, we did not drop a hook as we were going fairly slow and were only in 25-40 meters of water (not very deep). Quepos (pronounced kay-pohs) used to be a sleepy little village with a high built peer for loading bananas, pineapples and sailfish. This was once a bustling banana exporting port, but the town was crippled by the demise of the banana plantations in the mid 1950’s. Evidently, there was a banana disease that overtook the banana plantations in Panama which severely impacted exportation in Costa Rica. Today, there are thousands of acres of palm oil plantations just beyond the beaches which are controlled by Palma Tica, Inc. (formerly United Fruit Company). However, palm oil has a dubious future resulting from the concerns regarding cholesterol. 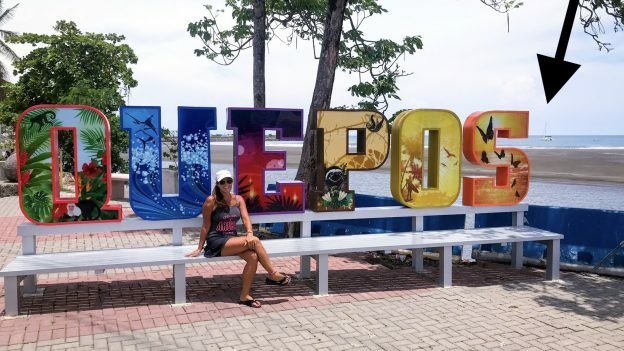 So, the town of Quepos is reliant on tourism which has been booming. 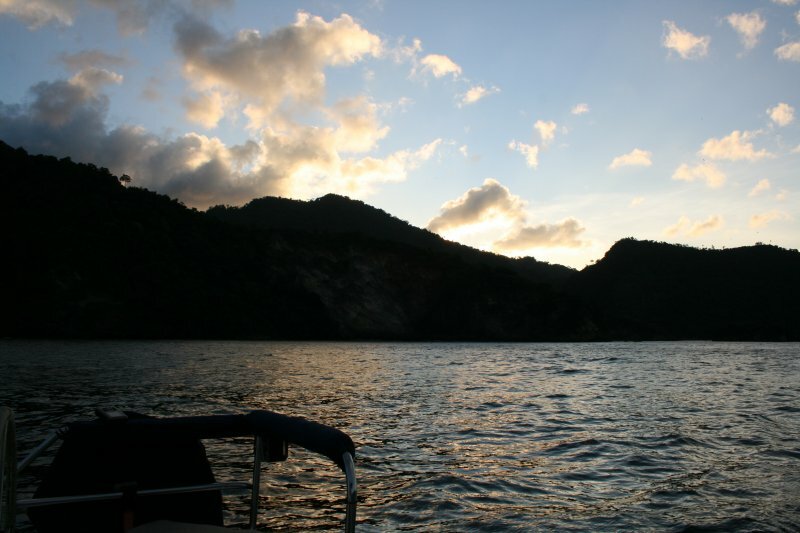 Quepos has over 7,000 inhbitants, a large marina (Marina Pez Vela), hotels, and vacation villas lining the beaches. We anchored just outside the marina entrance as it was fairly shallow (8 meters) and a wee bit more protected than where the fishing boats were anchored. When I say a “wee bit” I mean barely at all. It was a a little rolly during low tide, but during high tide it got darn right uncomfortable. The marina has a large jetty that is made of large, semi-circle, concrete forms giving it an unusual look from the outside. Dozens of small fishing vessels anchor in front of the marina but come and go in the opposite direction of where we anchored. Behind us, there is a long sandy beach backed by green lowlands that rise to a beautiful mountainous terrain beyond. Quepos in front of MPV Marina. We had an unobstructed view of another very pretty sunset. Matt wanted to spend his birthday walking around the small town of Quepos. But first we had to find a way to get to shore. There is a large banana pier that has been converted to a commercial dock so we started there first (see above collage, bottom photo). 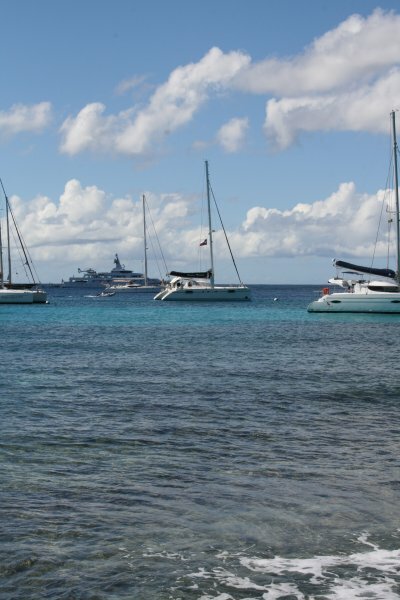 They were very nice but told us we could not leave our dinghy there. So, we headed to the marina. 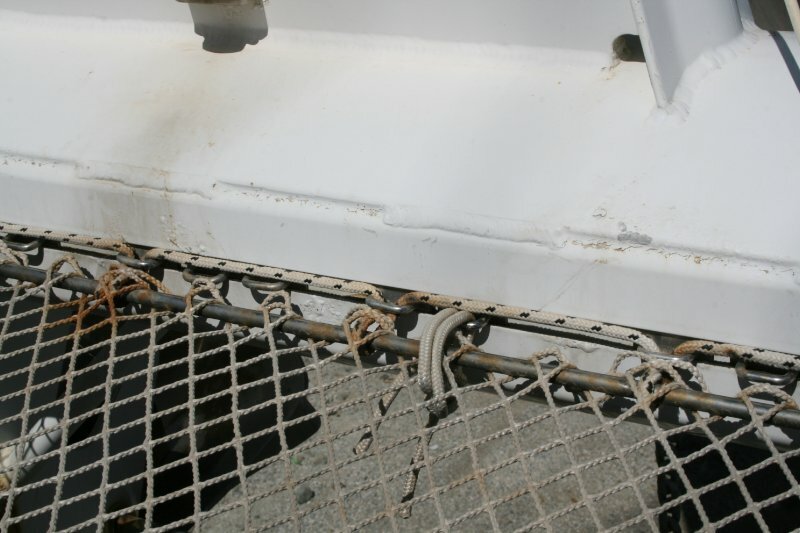 First, we passed a guard gate at the channel entrance who took our boat name, called into someone on the radio and told us to go to the to the fuel dock by their marine store. From there, we were pointed to the office. On the way to the office another guard stopped us on the street and pointed to the office. Then a third guard let us in to the marina where the office was located. Tight security don’t you think. At the office, the ladies could not have been nicer. 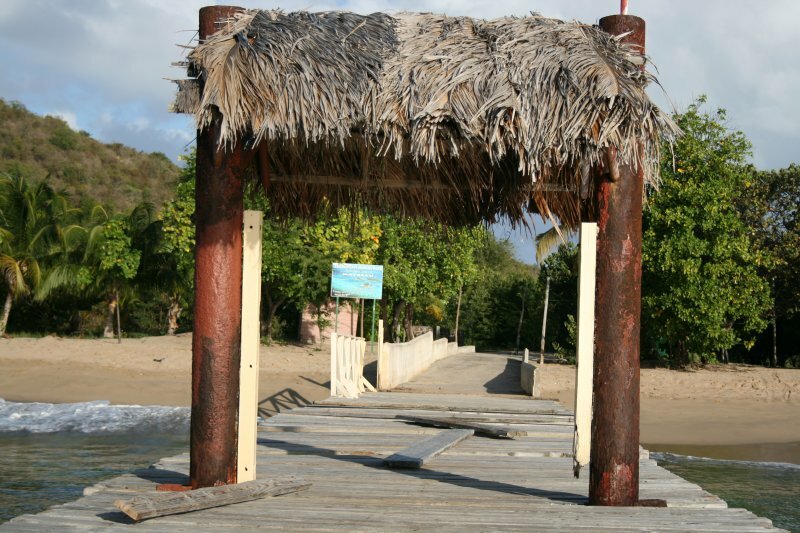 They told us that the banana pier is under construction and not available for us and that they don’t have a dinghy dock. They normally charge $25 for 30 minutes to pick up and drop off (can you believe that rate?). 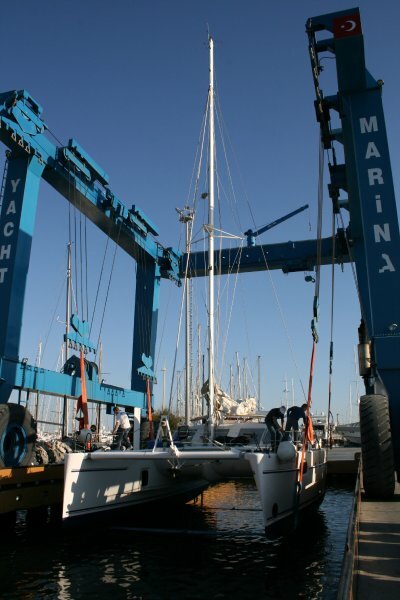 But, they allowed us to pay the fee for the day as long as we moved the dinghy close to the office and promised to be out of the marina before they close at 1700. Sweet. 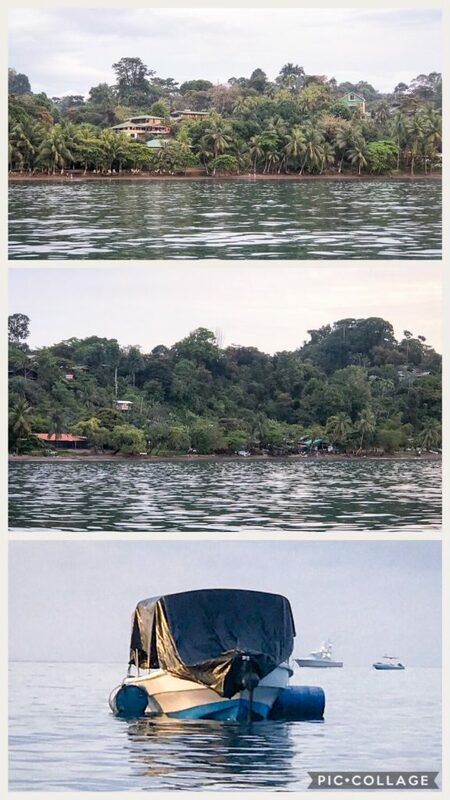 We had to give them our boat and clearance paperwork, passports and boat insurance. Keep in mind, this is just to leave our dinghy for a few hours. We meandered through town, had a late breakfast, caught up on a little wifi, shopped at the fresh fruit and veggie market, walked through the grocery stores, and then celebrated our day with a birthday beer. Pretty cool little town! 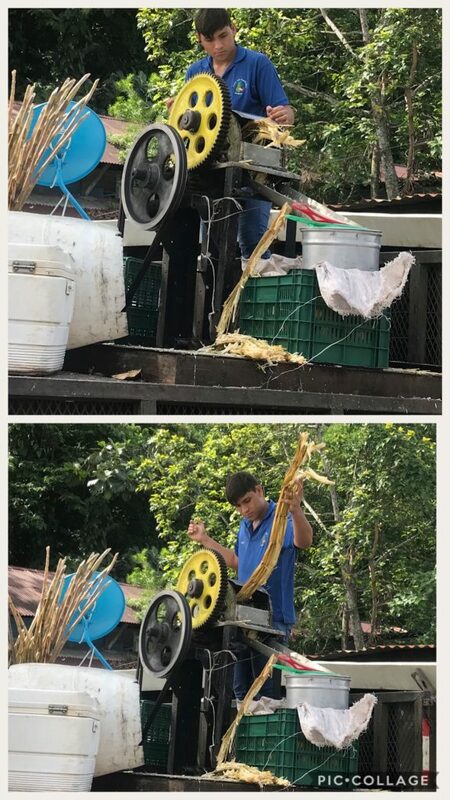 At the fresh fruit and veggie market, there was a man squeezing sugar cane which was pretty darn interesting as I had never seen this done before. 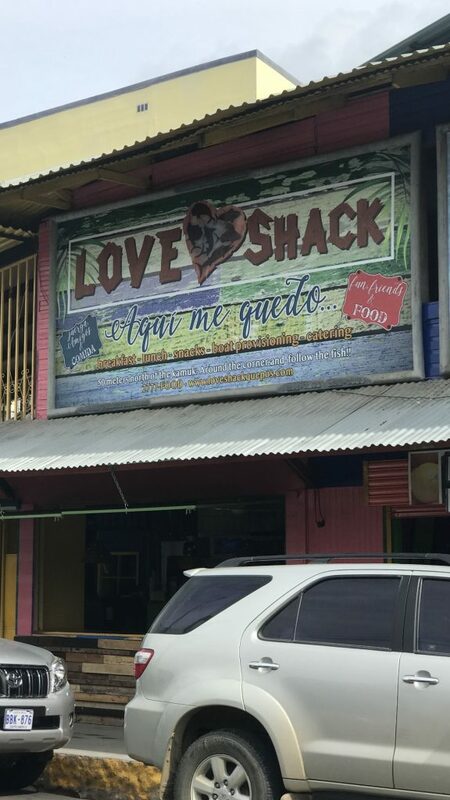 We found a new little eatery called Love Shack…unfortunately, we had already eaten so we did not stop in. They have a huge 3-4 meter tide here which exposes pretty dramatic shallow spots. 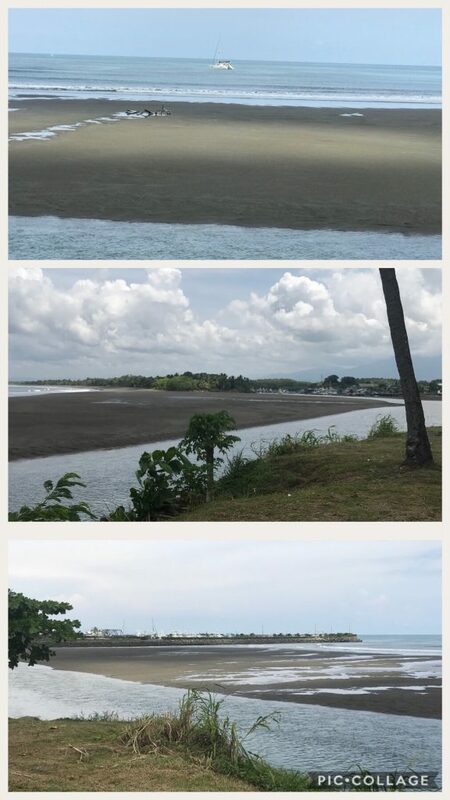 The top image is Sugar Shack in the bay just beyond the river and small sand bar. Then middle shot is the view to the right where another small marina lives. Boats have to hug the shore and follow the river to avoid the sand bar. Bottom image is the view to the left toward the MPV marina. 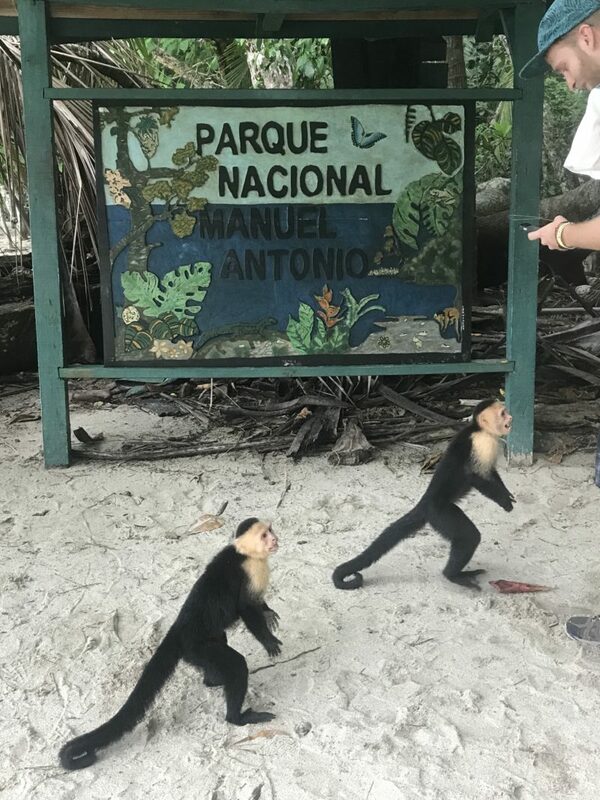 Manuel Antonio Park is a biological reserve and is only 10 minutes away from Quepos making this another great tourist attraction. This is Costa Rica’s smallest park at just over 4,000 acres and was established in 1972. This is a tropical wet forest that receives over 150 inches of rain each year. There are over 109 species of mammals and 184 species of birds. We hope to visit this park on another visit, so stay tuned for more to come. 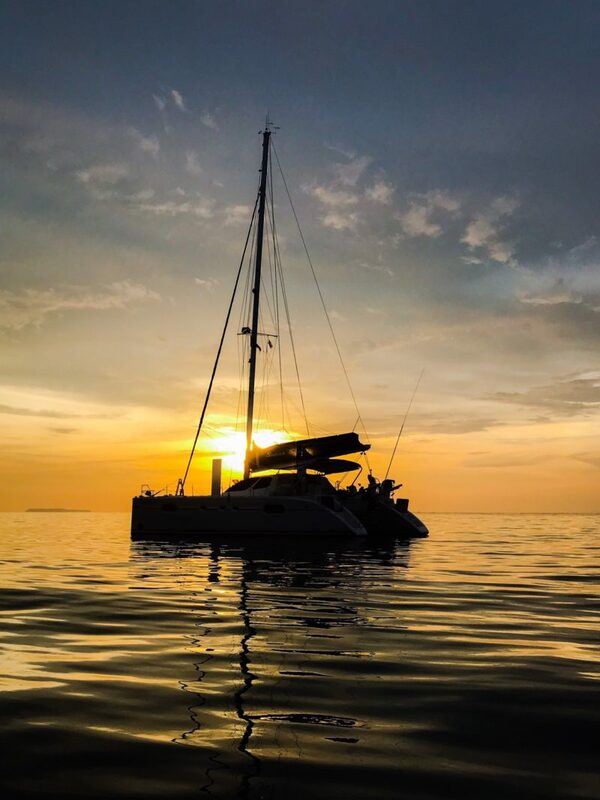 This entry was posted in Costa Rica and tagged Bahia Drake, costa rica, costa rica coast, Love Shack, Marina Pez Vela, passage, Quepos, sailing on a catamaran, sailing on a catana, sugar shack on June 26, 2018 by Christine. It took us an extra day to complete the paperwork in Golfito, but considering we were dealing with a holiday weekend, we were happy with the turn around. 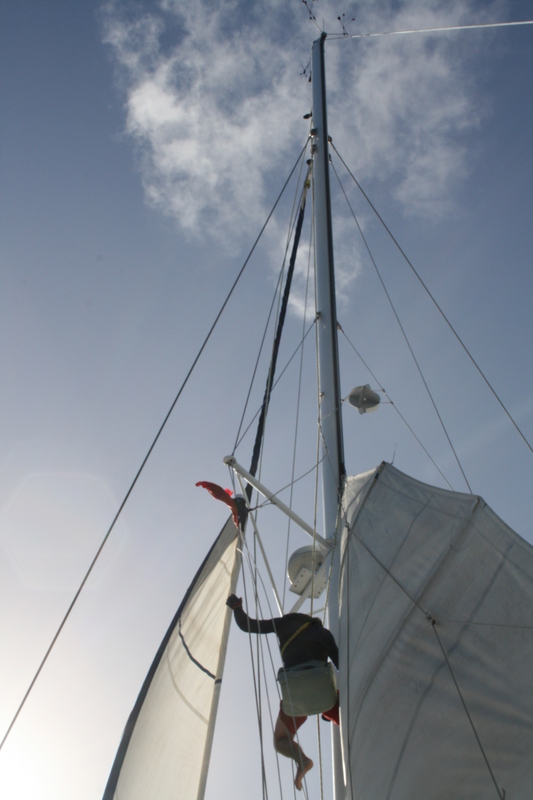 We got up early to begin our 60+ mile sail to Bahia Drake (pronounced dray-hay). A very easy motor. We had flat seas, light winds on the nose and a bit of sea life. We did see a few dolphins and birds. 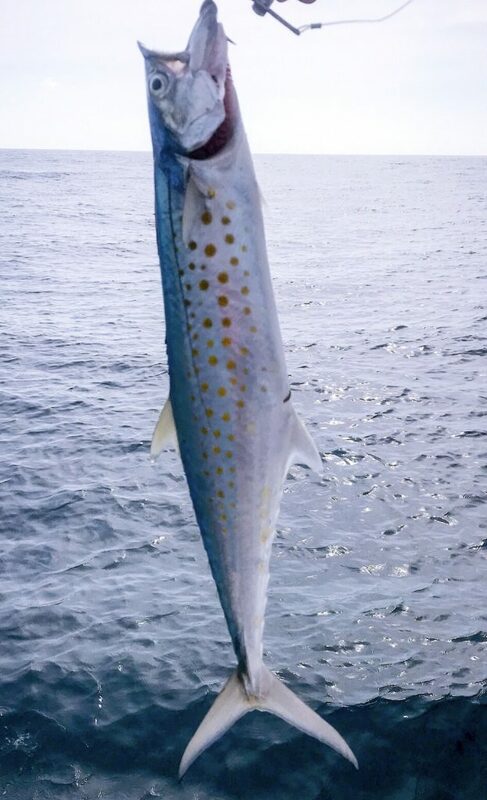 Matt put 3 fishing lines and 2 teasers out with the hopes of catching dinner, but only a small fish jumped on the line and we tossed him back- we think this was a Spanish Mackerel. This passage is all around the Costa Rica peninsula. 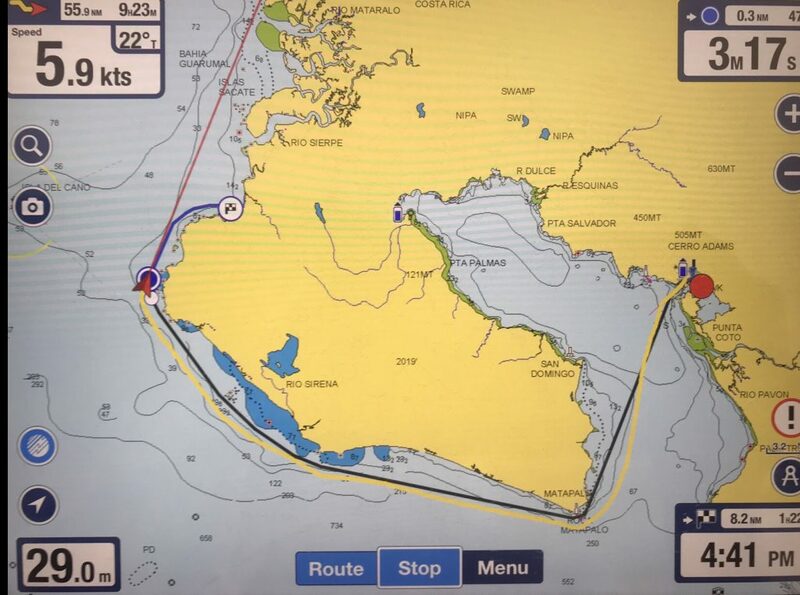 The image below shows where we started (red dot on right side in Golfito Bay), our path around the tip, our boat (red triangle on left side of peninsula) and our destination at the end of the red line. Since it was a long day with little going on, I took the opportunity to clean our interior wood. Wash down with 409, then vinegar, then Howard Feed N Wax Orange Oil. Not a difficult process, just time consuming as we have a lot of wood in the house. This is a monthly process. 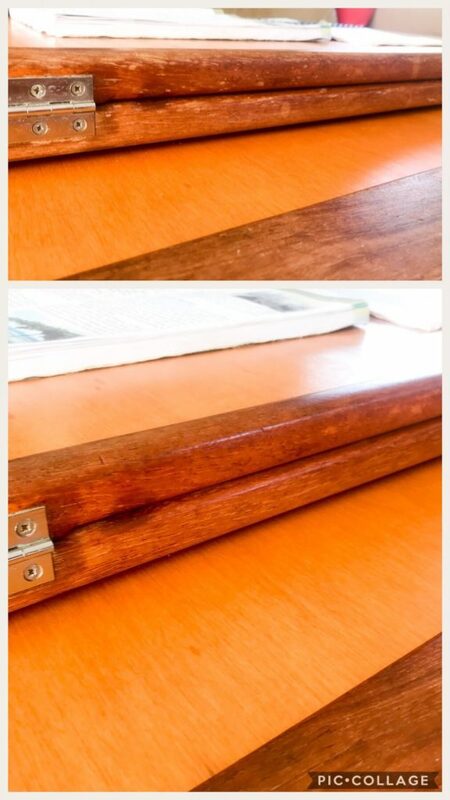 You can see in the upper photo; the darker wood has white spots (mold) that needed to be cleaned and preserved. 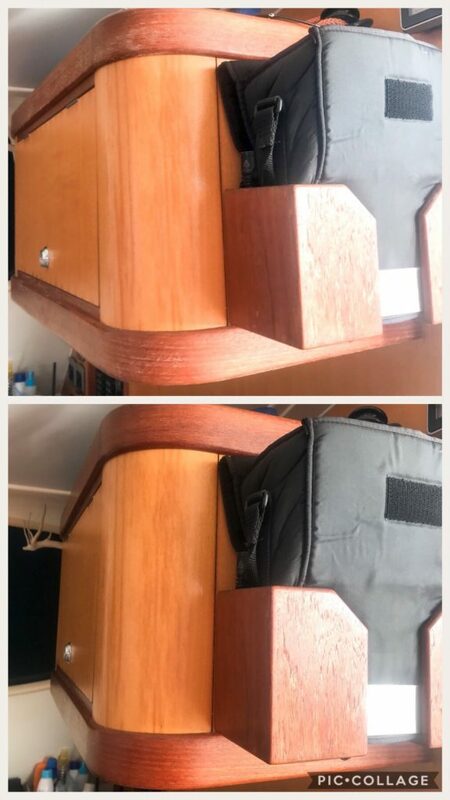 This photo is the wood trim on our interior table, before top, after bottom. 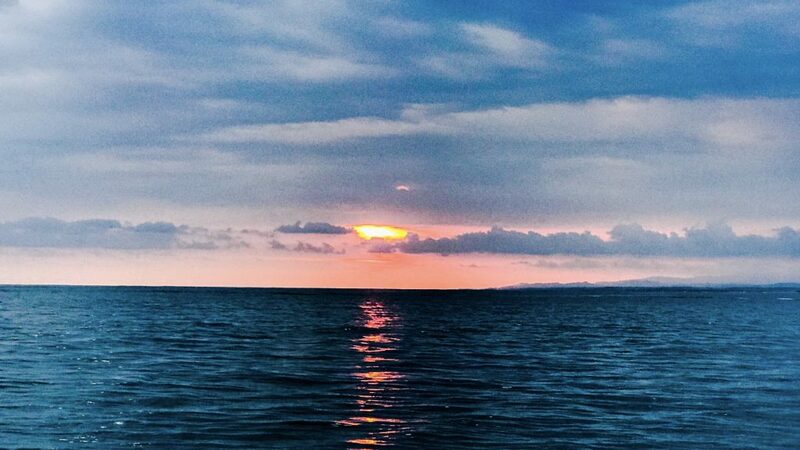 Bahia Drake is a wide-open bay on the Costa Rica coastline about one day’s run from anchorages to the north and south. 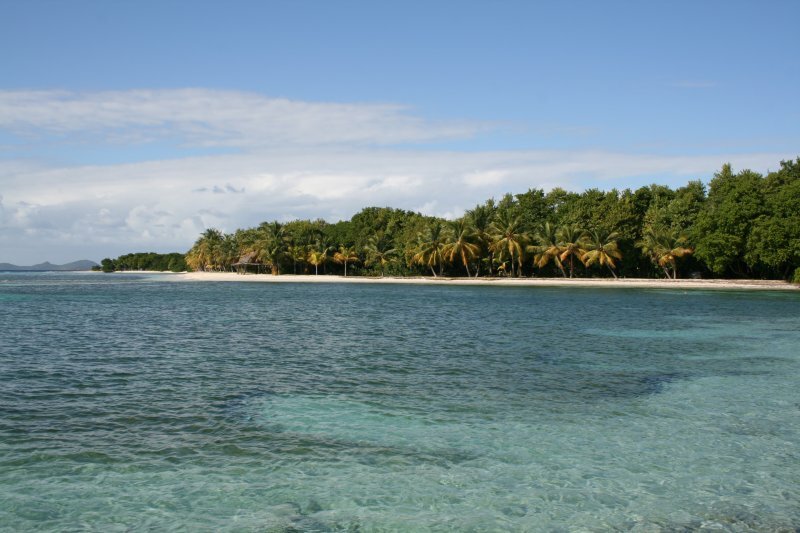 There is a village on the south end of the bay, a few small hotels, and a wilderness camp can be found ashore. 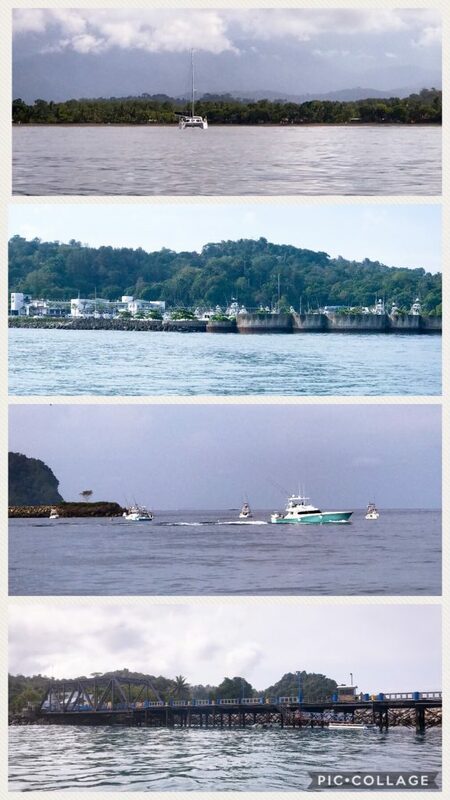 Dozens of fishing boats line the shoreline making this a picture-perfect fishing town. Back at the boat, we enjoyed a sundowner on the bean bags as the sun put on a glorious show. 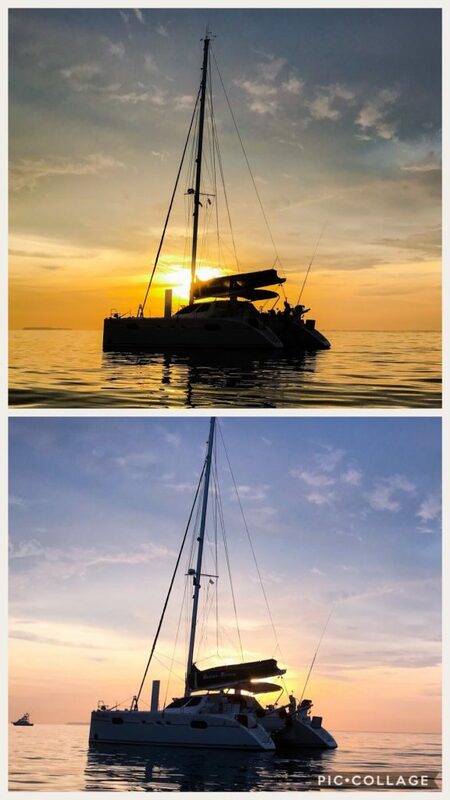 This entry was posted in Costa Rica and tagged Bahia Drake, chasing sunsets, Golfito, sailing on a catamaran, sailing on a catana, spanish mackerel, sugar shack, Sunset on the bay, wood work on June 21, 2018 by Christine.